Because most of us use our smartphones to find products and services, all websites must now be “responsive” designed, i.e., optimized for any-sized device. 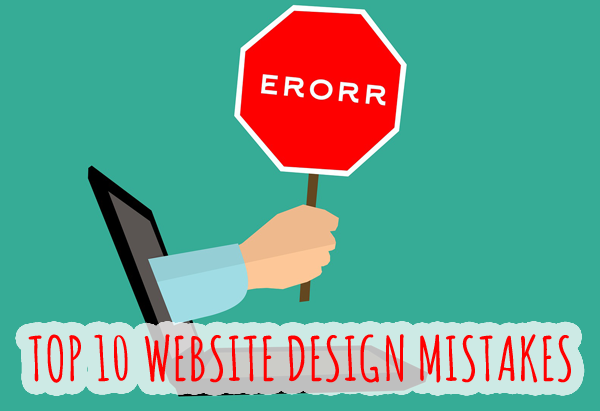 If your site is not responsive, and you plan a facelift sometime soon, this list of the most common website design mistakes can make the time and thought into a redesign more productive and profitable. Did you know that Google penalizes non-responsive sites in mobile searches? Since 75% of searches come from Google and over 90% from the Chrome browser in mobile phones, if you want your site found in searches, your website must be responsive-designed. It’s tempting to use the “drag-and-drop” website builders that claim to give you a full-functioning, responsive website in minutes. The problem is that because they have to be “all things to all people” regardless of your unique message and needs, these time- and money-savers use long lines of code on the back end causing them to load more slowly. If budget is a problem, we’re happy to advise you on the best, inexpensive solutions. A website’s design requires balance. We all agree that the purpose of a website is to lead a consumer toward a favorable decision: to opt in to your newsletter, request information, make a purchase, visit your store, decide to select you to solve their problem, or share your site with colleagues and friends. Over-the-top design can be a distraction. Minimalist design can be a turn off. Every marketer knows that to generate revenue, you need to have strategies to keep your name in front of a potential customer. Remarketing and retargeting enable your website to be easily found and opened again. These are good strategies, but pale in comparison to actually collecting names and email addresses so you can send personalized emails, newsletter, coupons, or discount notices to all who sign up or register on your site. Did you know that the #1 criteria for your website ranking in search results is high quality content? It’s not uncommon today to see absolutely beautiful websites with huge images and fancy fonts deliver content as though it was afterthought. For the 20+ years that we’ve designed websites, we’ve never wavered from this: content first—then design. When a user wants to find your address, phone number, email address, or store hours, where do they go? Not the Yellow Pages; no, they bring up your website. This information must be extremely easy and intuitive to find. If you sell a product, make it easy to find directions to your store or, if an online store, return policies, FAQs, and shipping details. When designing your layout, list what your audience must know, and make this information the easiest to find. Does your business stay the same year after year? Probably not. Whether you add new products or services, hire new key employees, revamp your marketing message, hold an event, grow or downsize—it’s always changing. Your website needs to reflect that. Check those four letters in front of your domain name! If yours is HTTP instead of HTTPS, we recommend updating to HTTPS. Why? The simple reason is, Google prefers it. The “S” stand for “Secure”. Not having that “S” makes it easier for an attacker to deliver malicious content to your website and shut it down. To avoid cybersecurity risks in general, be sure to update your site’s framework on a regular basis. There’s nothing more irritating than getting a “Page Not Found” error. This happens when something is wrong in the site’s code—usually a broken link. We recommend going through every page on your website at least quarterly; weekly if it has high traffic. If you find an error code, have your developer fix it—sometimes it takes someone who knows how to find and fix bugs and problems. Google Analytics should be installed in the code of every website. It’s free and the most useful tool you have in your online marketing arsenal. It helps you find underperforming pages, know where your visitors are spending their time, and from which page (or on which product) visitors leave your site. Another mistake is having Google Analytics on your website and never going there. “Mobile to overtake fixed Internet access by 2014!” That bold prediction from a technology trends analyst was made in 2008. 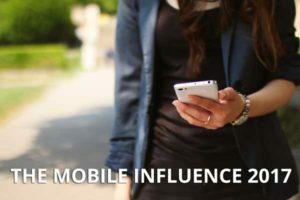 In 2017, we aren’t even asking whether mobile marketing is important. We know it is! Anyone who markets products or services is challenged to adapt to the new realities of a connected world and the expectations that mobile presents to them and their customer. There’s a word for mobile design. It’s called “responsive design” because whatever goes on a screen needs to adapt or “respond” to changing screen sizes and shapes. In the last few years, responsive design changed our approach to almost everything we did, from the shape of a logo to the sequence of information. Users were finding it easier to scroll on a tablet or smartphone than press a link, so we responded with leaner, cleaner layouts, brief top level content linking to longer underlying content, and more calls to action. Tenure. If you’re a brand-new site, it’s going to take time. Those sites who have the oldest “index age” get to be first. When you’re new, you have to work harder. Authority. You’re an authority if others turn to you for advice or information. Quality links from a variety of sites qualify. If you don’t have these links, there’s a pathway to acquire them. Tedious work where persistence pays off. Relevance. Relevant content is authoritative, well-written, error-free, never plagiarized, and about who you are, what you do, and how your products solve problems. Skimping on content is like tossing off a line to the dock and wondering why your boat slips away. Content must be well-written, lengthy, keyword centric, and highly engaging so that Google “sees” people spending time on your site. Lastly, flat design ruled the market in 2016. In 2017 a new metaphor came to town: Material Design. It’s about simplicity, with subtle, natural, visual clues that help the eye’s navigation—textures, shading, contrasts, hues and so on. On the other hand, we prefer what we call honest design. No fads, just the right design to advance the brand.